Perfect location, 100m from Lolas Pergolas, on the marina!! Sunsets for days!! 200/wk or 230/bills. Fully furnished private room for rent $220 per week in Larrakeyah, power and internet is included. 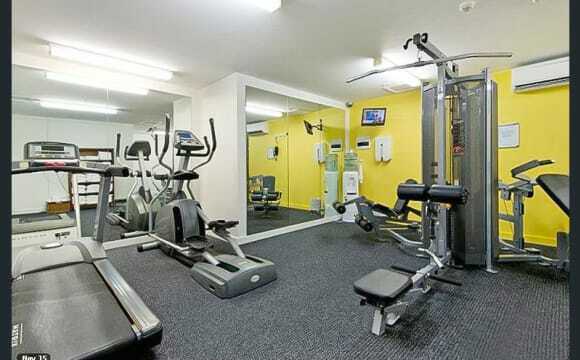 The apartment is located in a small block of 8, top floor with lift access, just 1.7km to the heart of Darwin City. The room has a double bed, air conditioning, ceiling fan, built in robes, bed side table with shared bathroom. 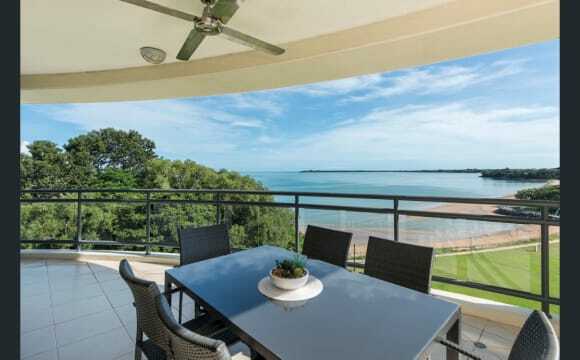 Ocean views from main balcony, with Cullen Bay, restaurants and bars in Darwin CBD, Casino and Mindil Beach/Markets all within walking distances as well as the Parap shops and the famous Saturday market is close by. 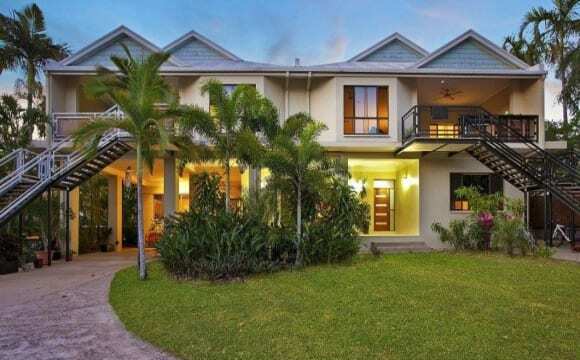 Also close to public transport with buses to Casuarina and Palmerston. Long-term stayers preferred, but happy to consider short-term stays. Sorry no pets. We have the perfect beach side location for mid week sunset BBQ’s and weekend beers in the plunge pool that overlooks Cullen Bay beach. Lola’s Pergola &amp; various restaurants are a very short stroll across the road &amp; the bus stop &amp; ferry terminal are 500m away. Perfect location just beyond the CBD. Walking distance to Woolies, bars and restaurants, plus Uncle Sams. The unit is fully furnished bar your room which is on the smaller side but will comfortably fit a queen bed and is air conditioned. No built in, but there is a garment rack and shelving unit available if needed. You’ll be sharing a bathroom with myself while the other housemate Clynt has the master with an ensuite. Lovely spacious kitchen, plus NBN, Netflix, Stan. Bills are extra (but reasonable). 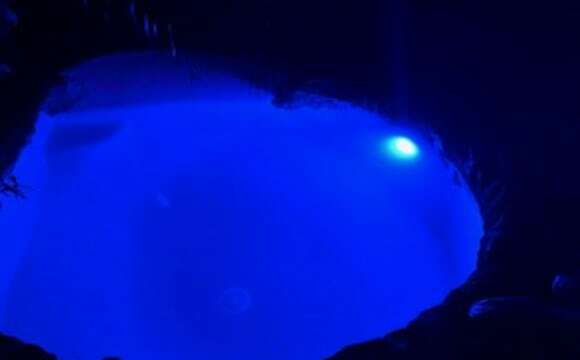 The complex has a great pool. There’s no off street parking available but it’s a safe and quiet street with no parking hassles. We’re looking for someone tidy, employed and relatively normal, preferably in 20s/30s. No couples sorry. Smoking is fine outside. If this sounds like you, shoot us through a brief description of yourself and we can tee up a time for a yarn. 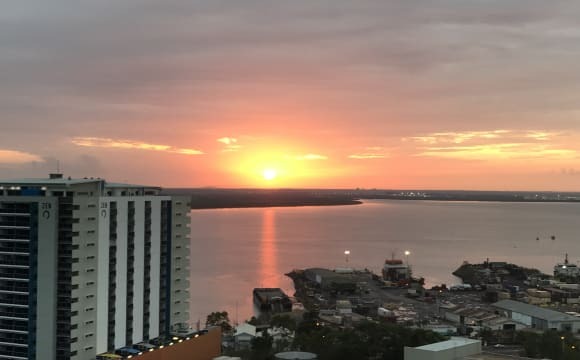 The Sentinel Apartments are one of the premier spots to live in Darwin and our 7th floor apartment is one of the best in the building. A large wrap-around balcony with spectacular views over the harbour all the way around to Mindil. Beautiful, spacious &amp; quiet living and kitchen areas. 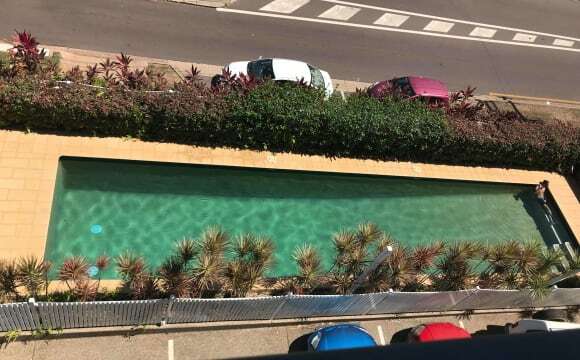 The greatest swimming pool in Darwin. (with spa) Very secure perimeters, including 2 underground car parks. We're adjacent The Esplanade, giving us instant access to beautiful park areas for running/walking/sporting &amp; picnicking. And we're only 5 minutes walk from the main strip on Mitchel Street. No more cabs home after going out playing. Very nice place with lower price! 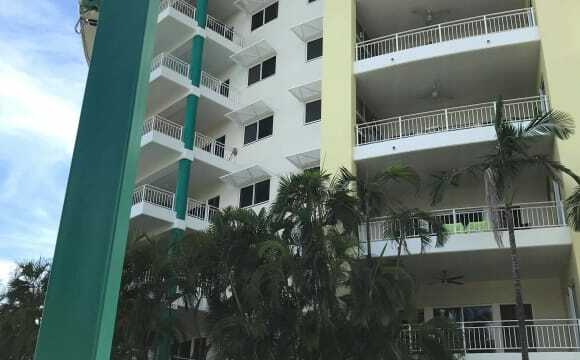 The building has lift access and is very secured. It locates right in the heart of Darwin CBD on Cavenagh St. Just 5min-walk to Woolies, Coles, and bus interchange. Shops and eateries are just downstairs. The apartment has great views of the city and the water, and is very airy thanks to the spacious balcony area. All rooms are fully furnished. 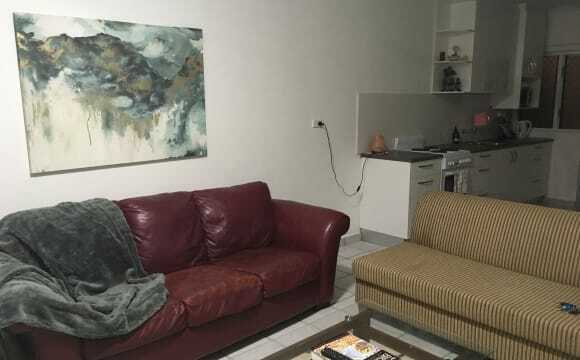 - Couple of minutes from the CBD ($8 uber) - Has a pool -House is fully furnished - Although there are 3 others in the house we are rarely home at the same time and the house is quite large - Aircon and fan in the room - We’re a clean house! I moved into this third floor apartment about 2 years ago and love it. I've always shared which is why I'm advertising. It's a two bedroom apartment. You will have your own room and the main bathroom. There is a garage under the building where we have two spots allocated. Large balcony with water views. Apartment furnished, bedroom isn't. 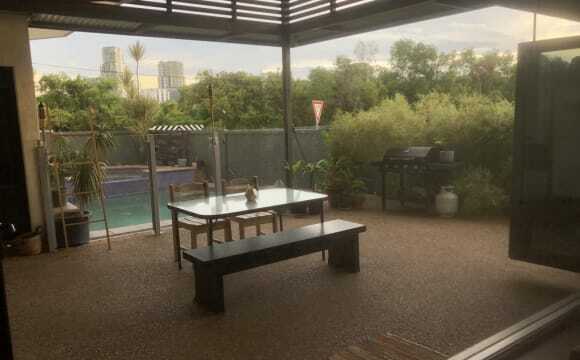 Beautiful modern house with a great pool, fantastic new kitchen, built in robes in both bedrooms, close to the city and bike path with amazing sunsets over the city! Wonderful location steps from city centre &amp; Waterfront! Couples &amp; singles welcome (price advertised is for singles, price varies for couple). Huge balcony overlooking the ocean, enormous open kitchen and living area, offers you plenty of space/privacy. We are super close to the city centre and waterfront. The apartment is truly quite large and even though there are a few housemates it is very quiet and private. There's a TV with PlayStation and Netflix in the living area. There are also bicycles you can use whenever you'd like. Private parking available at a cost. Your room is fully air conditioned with a fast internet connection. 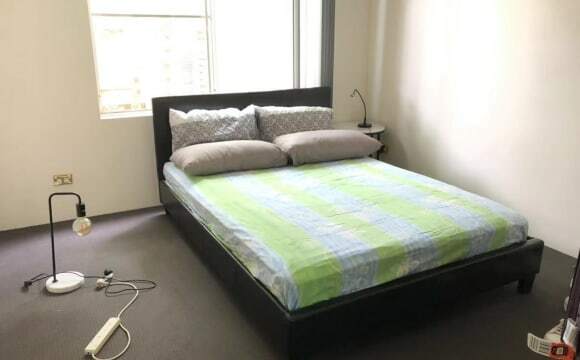 Photos of the room in this ad were taken before the current flatmates moved in so it looks a tad bare, sorry. There is now a queen bed with frame, bedside tables and a few other items of furniture you can choose to keep in there if you wish. You have your own private room and will be sharing a very large bathroom with two other clean people. Room is ideal for couples as it is quite large but of course, singles are welcome too! Price varies for singles/couples, just message us to discuss :) We have tenants in until the 26th of April, but the room is free after that. Feel free to message to chat/come take a look. Free WIFI and all bills included. Couples welcome. Available from Wednesday 17th April 2019. 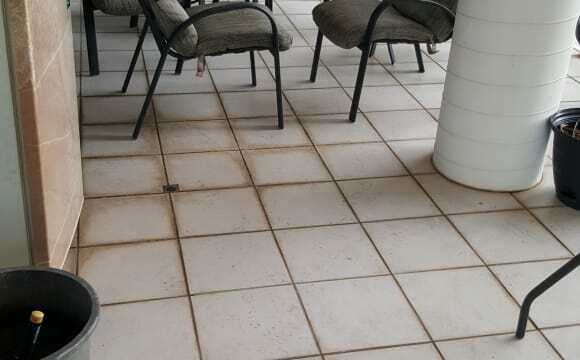 Fully Furnished Queen size room available in beautiful apartment in Westralia St, Stuart Park. Large room is tiled, has air-con, ceiling fan, queen size bed, linen, pillows and bedside tables. 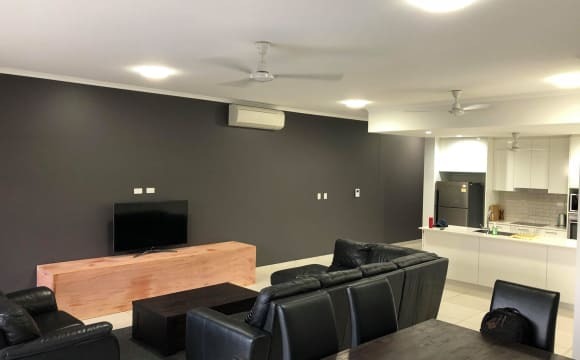 The apartment is large, bright, breezy, clean, quiet but friendly and within 5 minutes to Darwin city CBD and Parap Swimming Pool. The apartment is located close to a bike path leading to the city, has a bus stop on the front nature strip and off street parking. Wanted: Clean, quiet, working, considerate and sociable people to share with others. Situated in Westralia Street, near Stuart Park shops, cafe and bus stops, apartment is fully furnished with each person allocated their own private fridge / freezer. 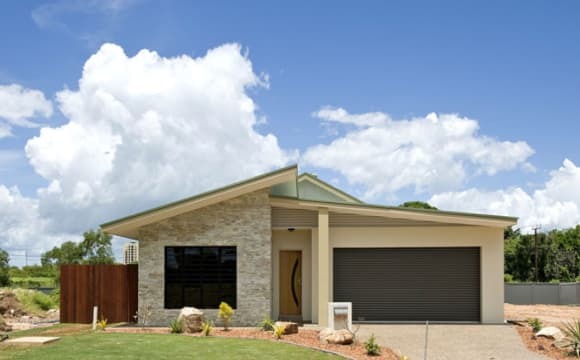 Also supplied, washing machine, TV and front and rear verandahs. Singles $210 / Couples $240 per week. Includes Free WIFI. Couples welcome. International Students welcome. This is not a hostel. This is not a party house. 2 weeks deposit and 2 weeks rent required. 4 weeks minimum stay. I can't always answer the phone so please feel free to text. Thanks, Andy.